A classic tea with a massive following and a rich history. This high-grade China black tea is blended with oil from the very best Italian bergamot plants. Earl Grey is like spending time with your best friend – warm, reassuring, much loved. We’ve chosen this tea after many tastings, and we love its mellow, citrus base. There is a lot of misconception about what Earl Grey should be, from freeze-dried bergamot to leaf type, but we’re delighted with the highest quality of our components. They're as good as anything that's been around for almost 200 years. From the aroma to the taste, you'll adore this Earl Grey. The organic decaf Brazilian coffee I thought I had ordered came as non organic decaf Colombian coffee! Like all coffee imported into the U.K., it varies by season but the website doesn’t tell you that. Very misleading. 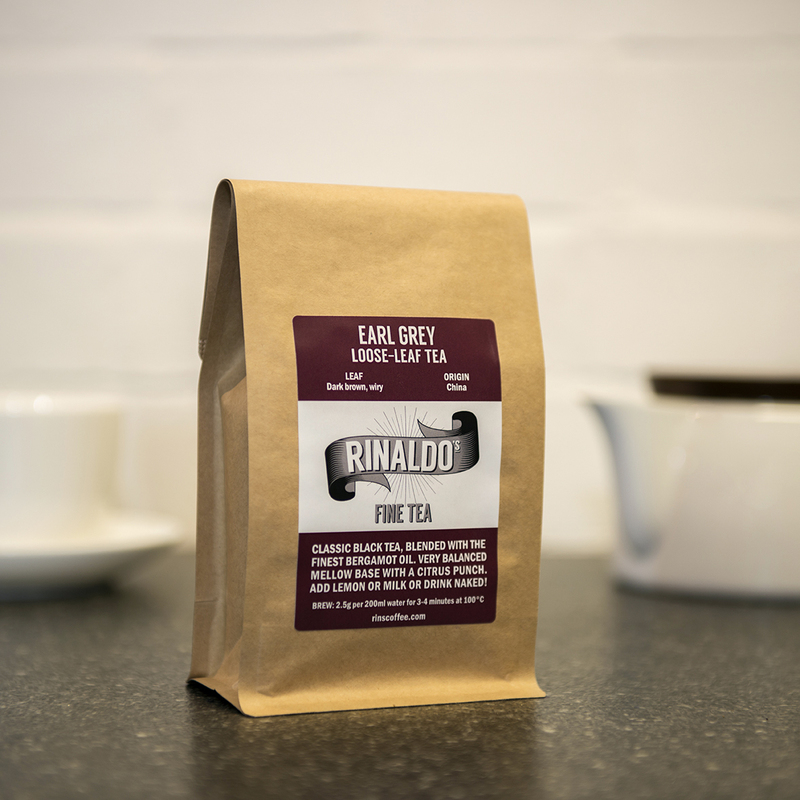 This product is dispatched by Rinaldo's Speciality Coffee & Tea . This item has a shipping weight of between 250g and 750g depending on the options selected. Artisan speciality roasted coffee and tea and bespoke manufacture brewing gear.